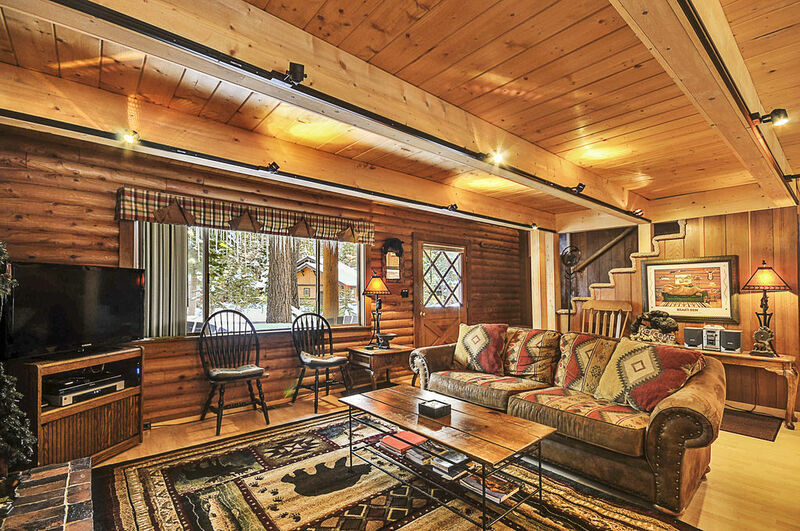 Dog-Friendly - Hot Tub - HOA Pool AccessAgate Bay Log Cabin, formerly known as Taylor Log Cabin, is the ideal mountain house for your winter vacation. 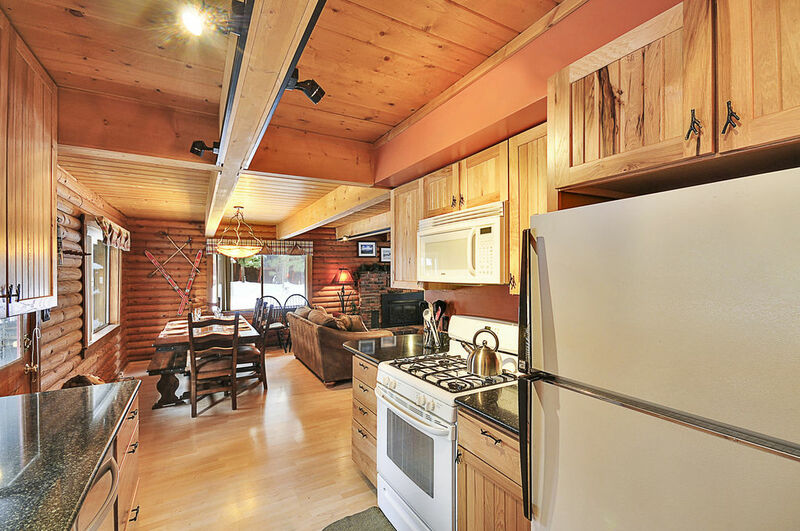 The 3 bedroom 2 bathroom home comes equipped with an updated kitchen and a cozy living room. 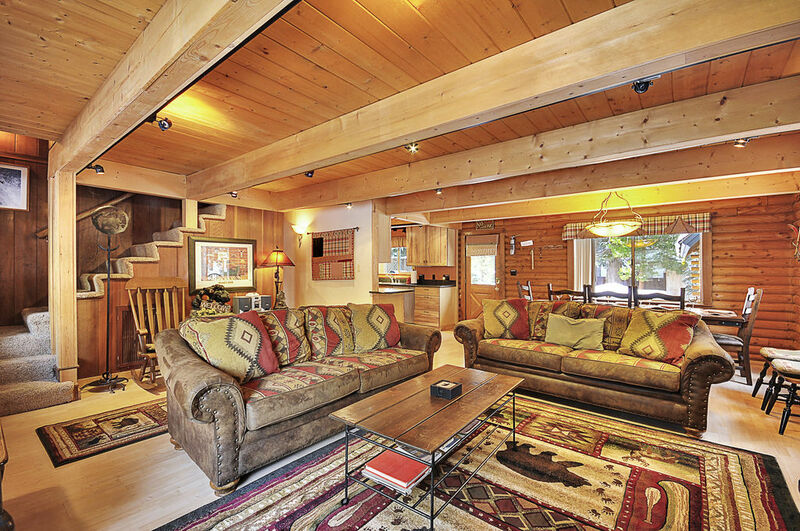 This property has a great backyard and deck for your pets to roam and for all of your guests to relax and enjoy the alpine scenery. 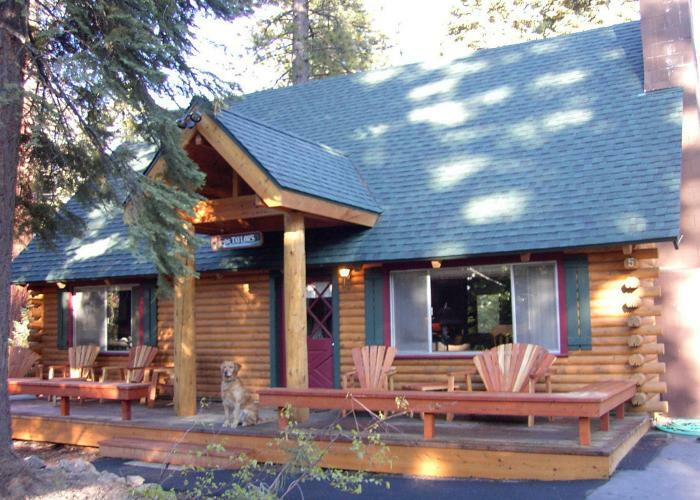 Dog-friendly Patton Beach is a half-mile stroll away from the house and Squaw Valley is a half hour drive away. 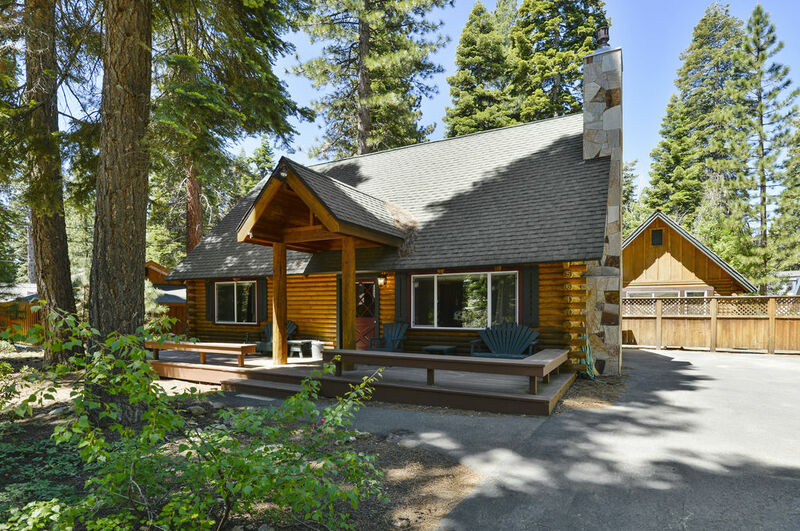 Soak in the hot tub, grill out on the deck, cozy up by the fire, and create memorable family experiences at this quintessential Tahoe log cabin. 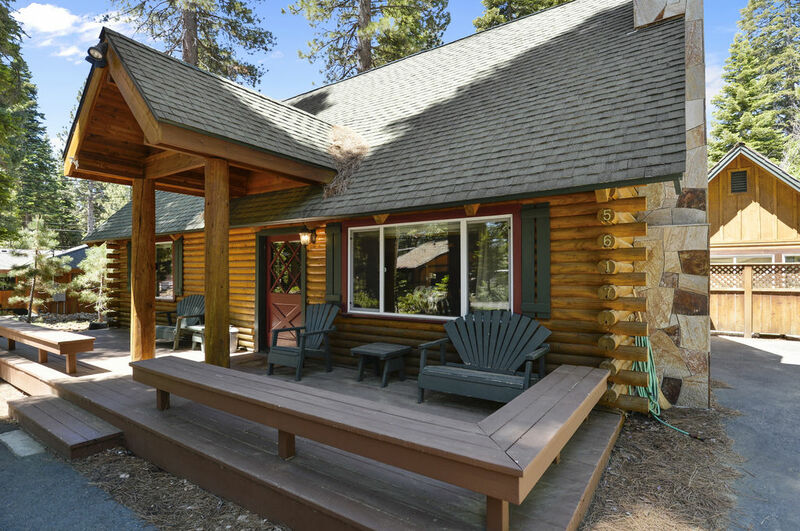 You will not be giving up creature comforts to enjoy the 'Old Tahoe' charm of this dog-friendly Lake Tahoe log cabin vacation rental. 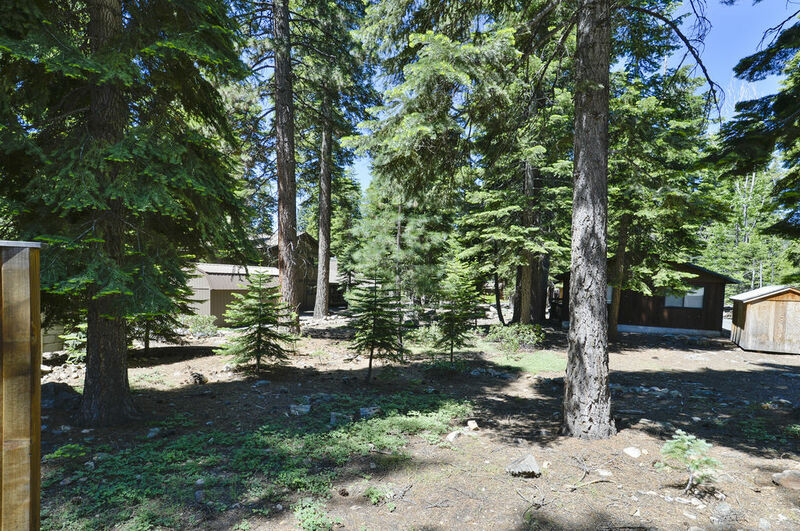 Enjoy the towering evergreens as you relax in the sun on more than 700 square feet of decks. 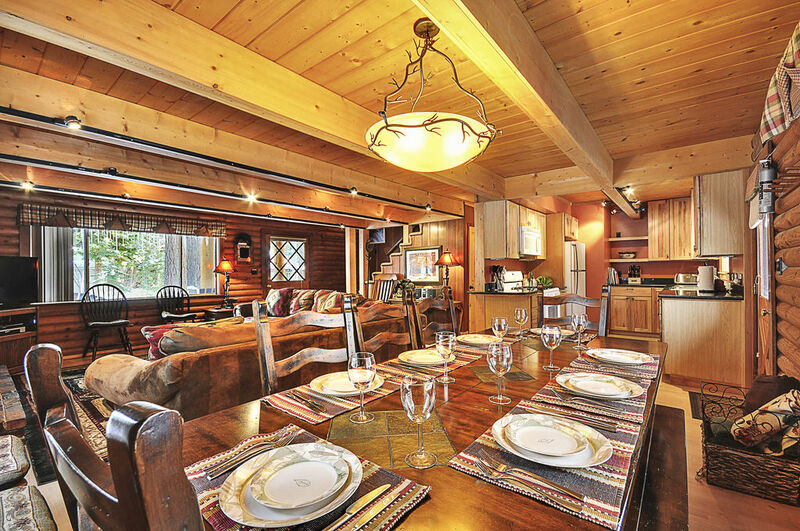 Use the gourmet gas grill for a mountain air BBQ, soak in the outdoor hot tub, and share special times with family and friends around the gas campfire ring. 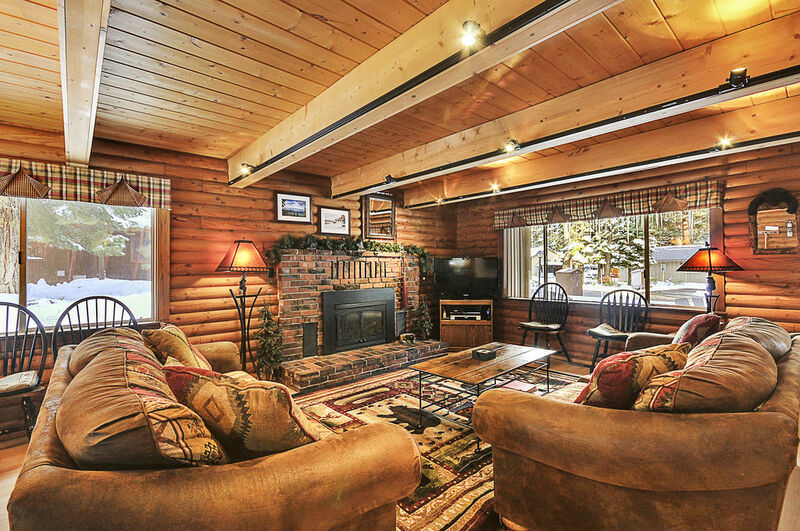 With just the push of a button, you can have a warm by the cozy living room fire. 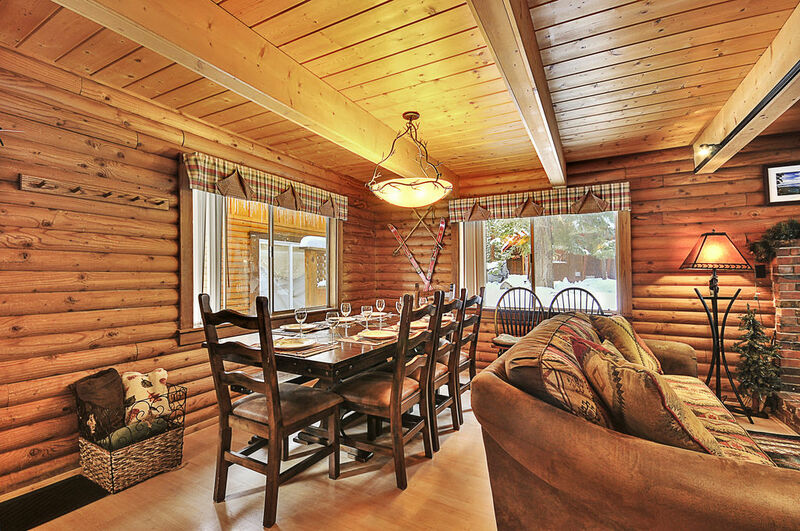 Gather around the dining table for games with music in the background, use the free high-speed wireless internet, watch cable TV, or watch DVD’s or videos. 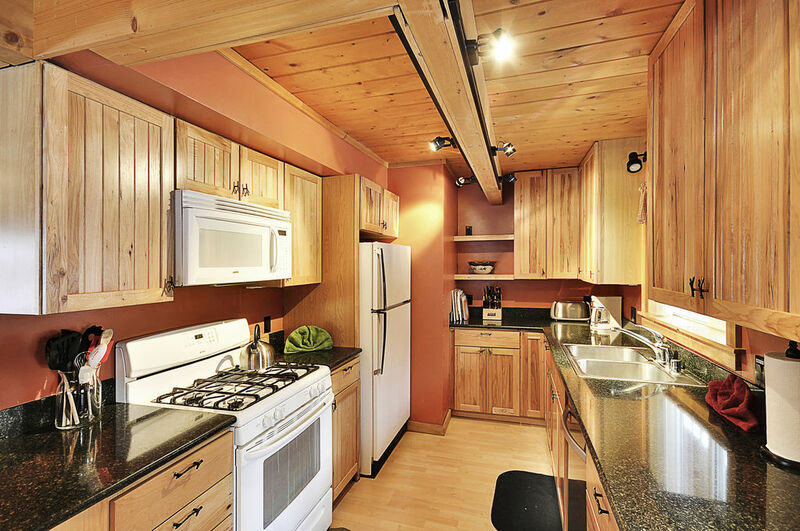 The fully equipped kitchen with its new gas range, microwave oven, and stone counters makes dining in a pleasure. 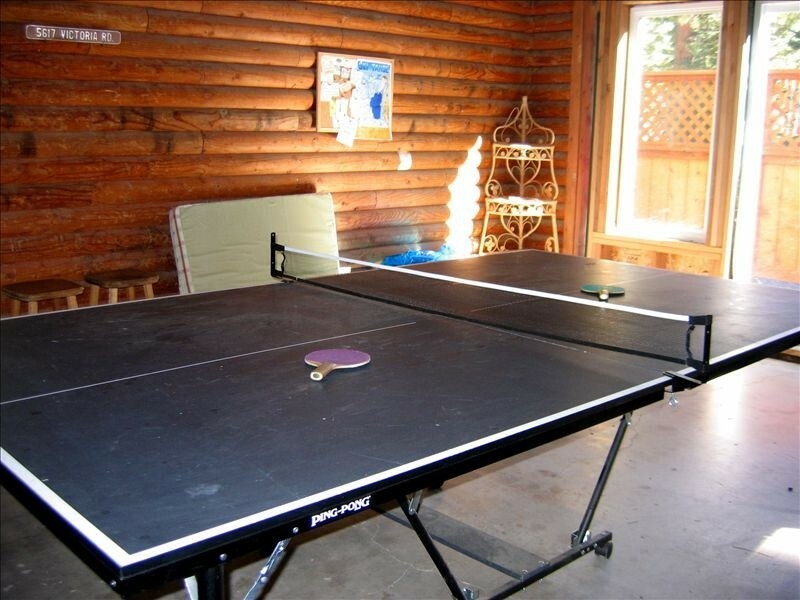 Not to mention there is a ping pong table in the garage for kids and adults alike. 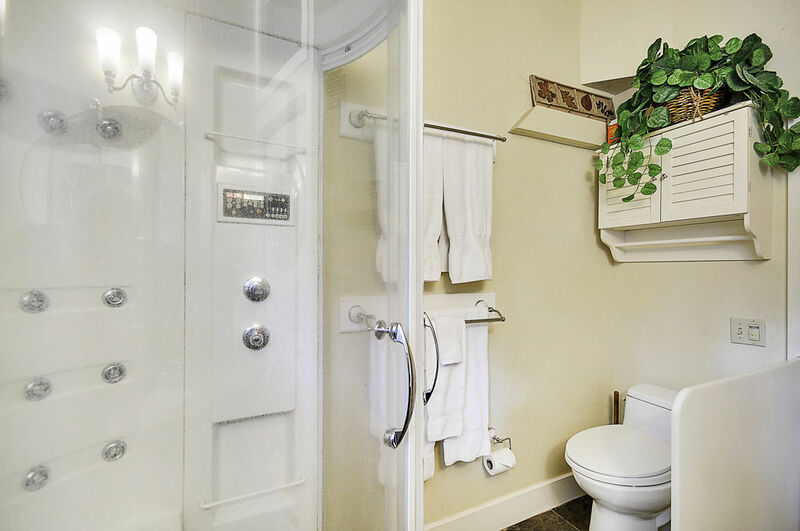 Eight to twelve people can be accommodated in comfort and style. 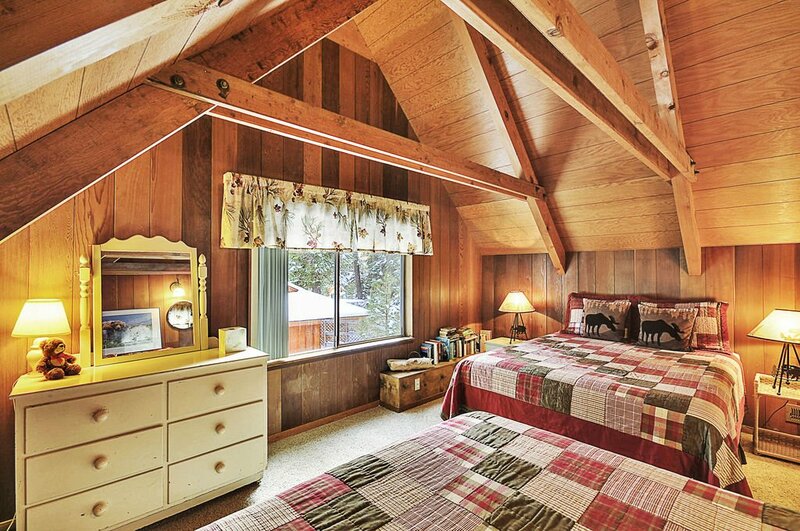 The 'Oak Leaf' master bedroom with a California king-size bed and the 'Pinecone' full bath are on the ground floor. 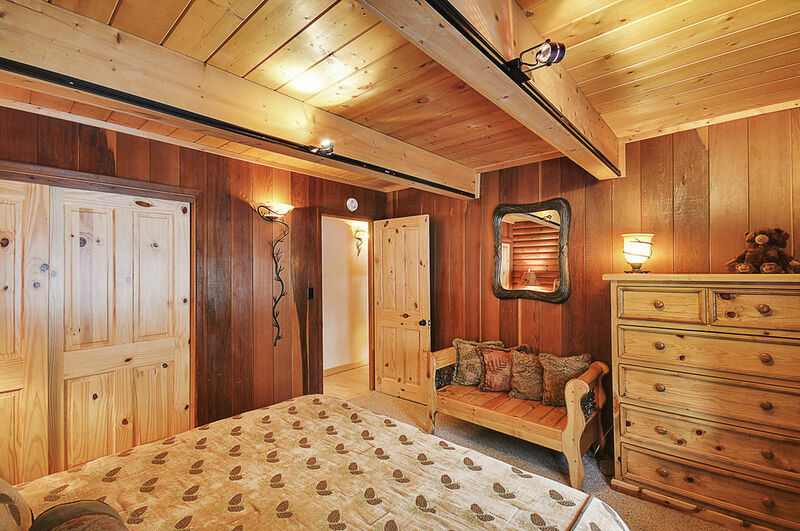 Upstairs, the 'Forest Fern' bedroom offers two double beds. 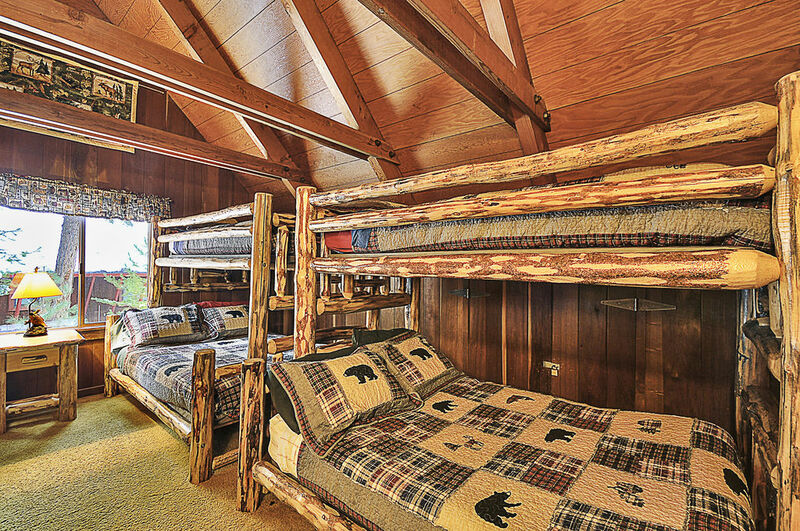 'Camp Run-A-Muck' is a large dorm style room with two single-over queen bunk beds, a foosball table, TV, VCR, and CD stereo. 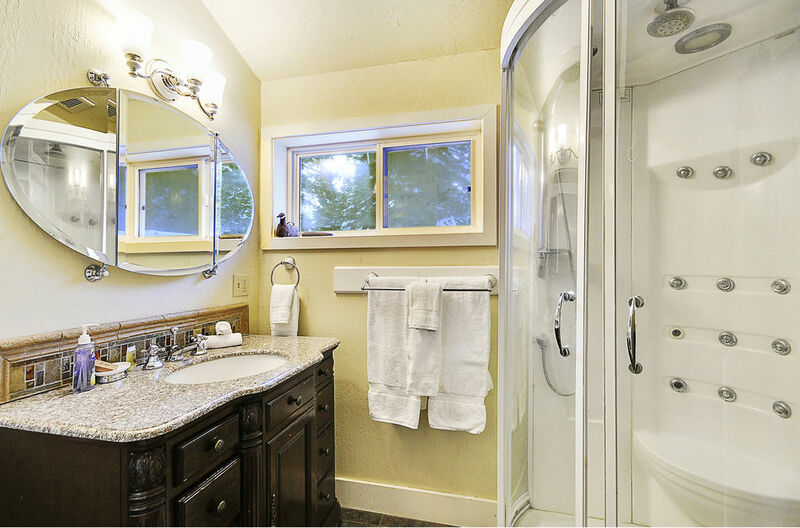 There is a half bath on the second floor. 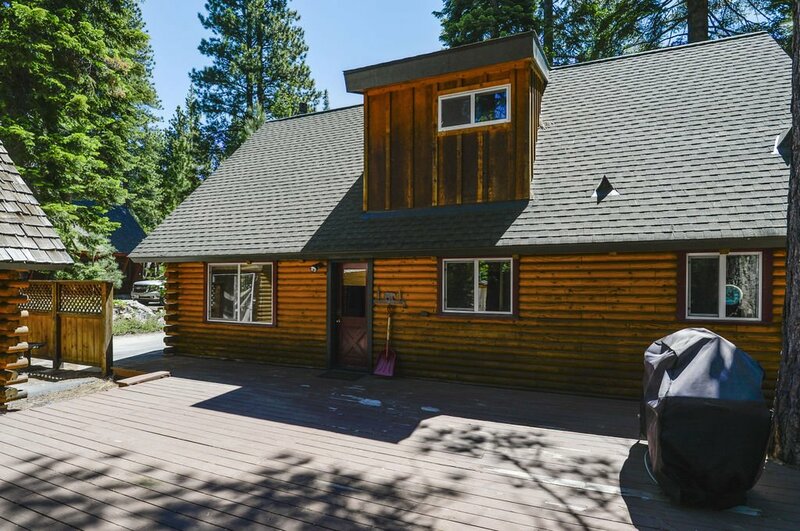 Lake Tahoe, Carnelian Bay, and Patton Beach (dog-friendly) is a short half mile walk from the home. 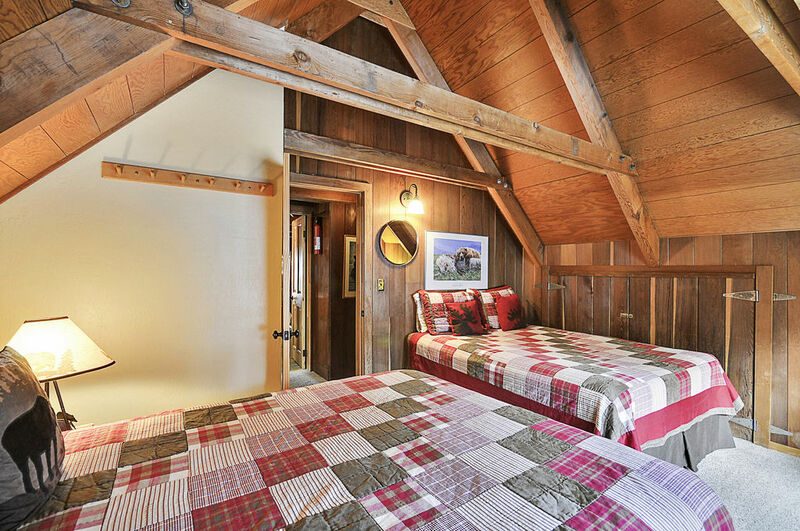 There is plenty of off-street parking, and the charm and amenities of this vacation rental cabin will keep you coming back year after year. 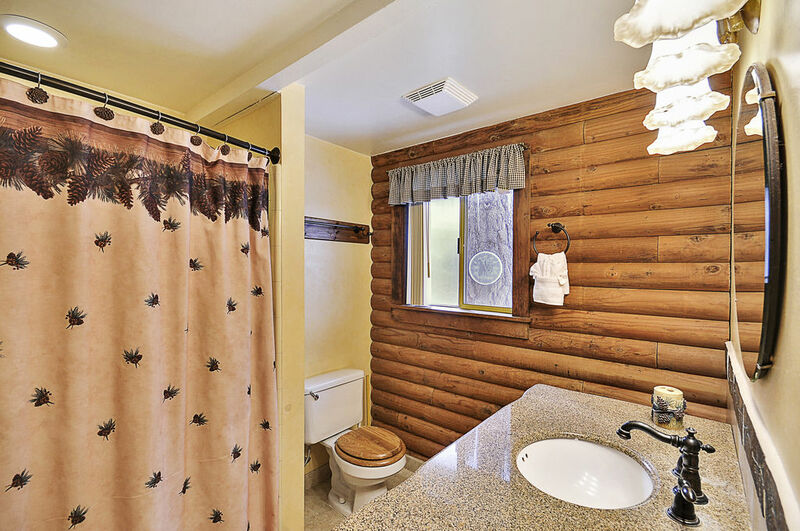 This Lake Tahoe vacation rental cabin is fully equipped with free high-speed wireless internet, linens, bath towels equal to the maximum occupancy of the house, spa towels, pot/pans, dishes, microwave, coffee pot, TV's & DVD's, washer & dryer, and a barbecue. 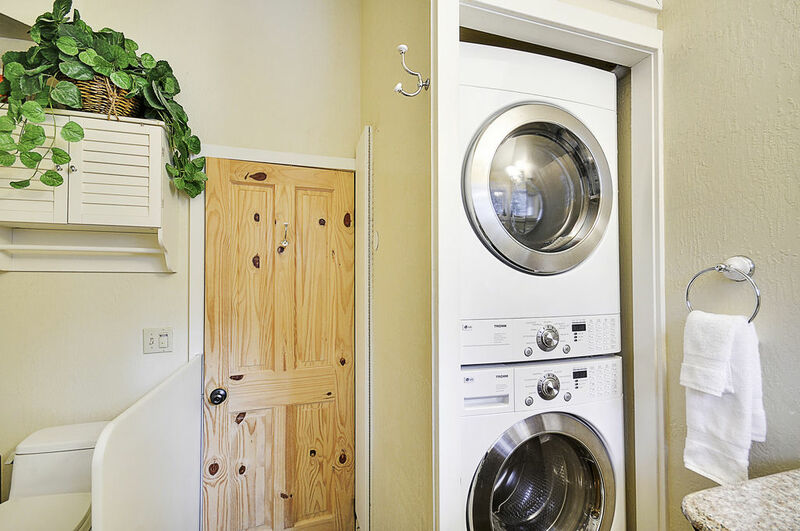 The house will also provide a starter set of toilet paper, soap, and paper towels. Terrific house for a big group of people. 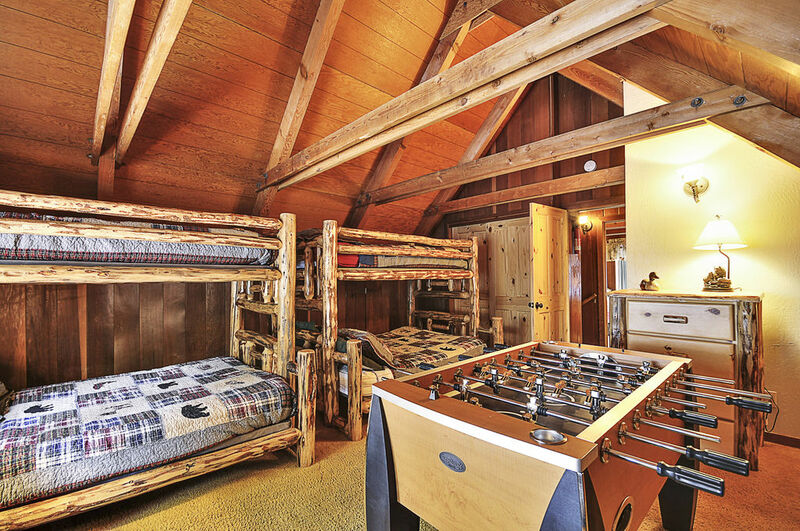 My family of 5 stayed here (2 adults and 3 kids) with another family (one adult, one child and one French bulldog). 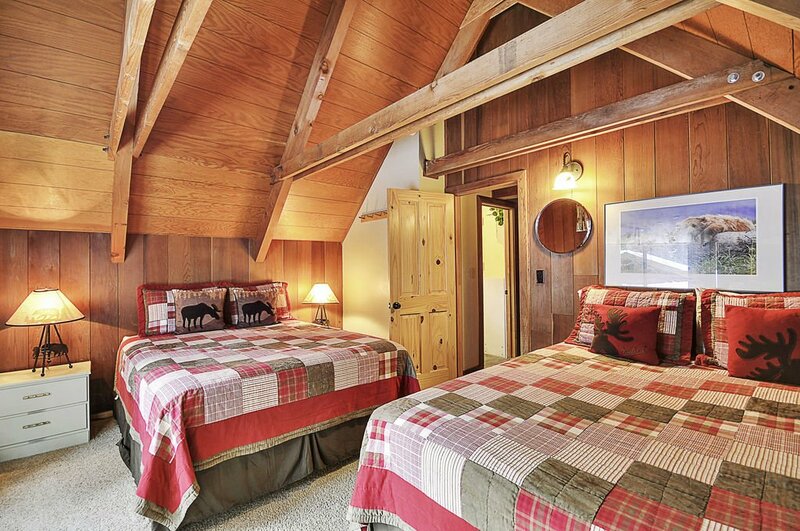 The rooms were very spacious and the layout was perfect for our group of 7. 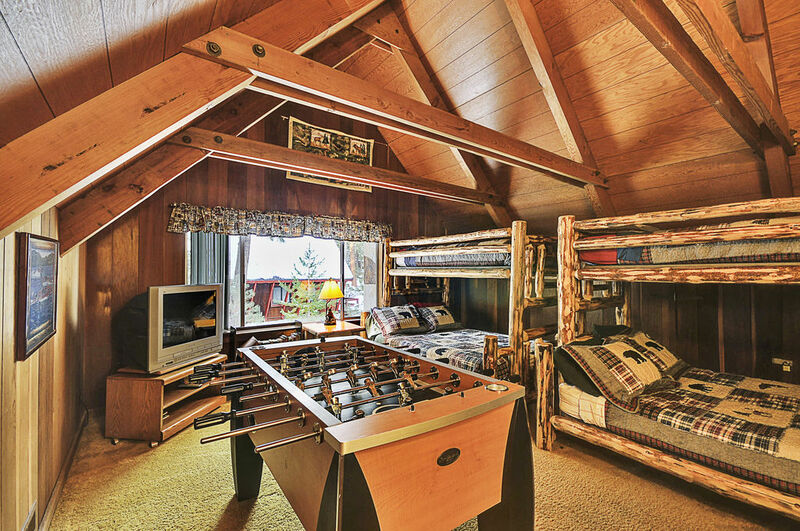 The kids loved the dorm room complete with foozball, lots of kid friendly movies, and games. The backyard hot tub, large dining table, fire table, BBQ and ping pong were great. 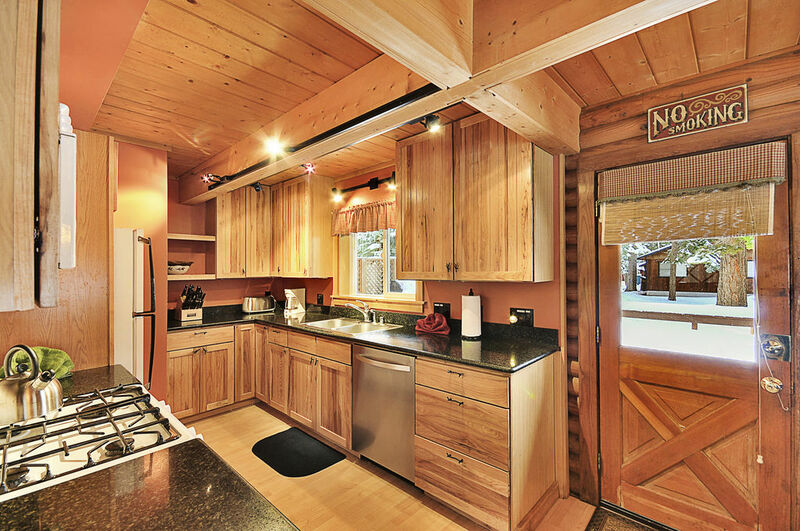 The house was clean and the kitchen was well stocked. 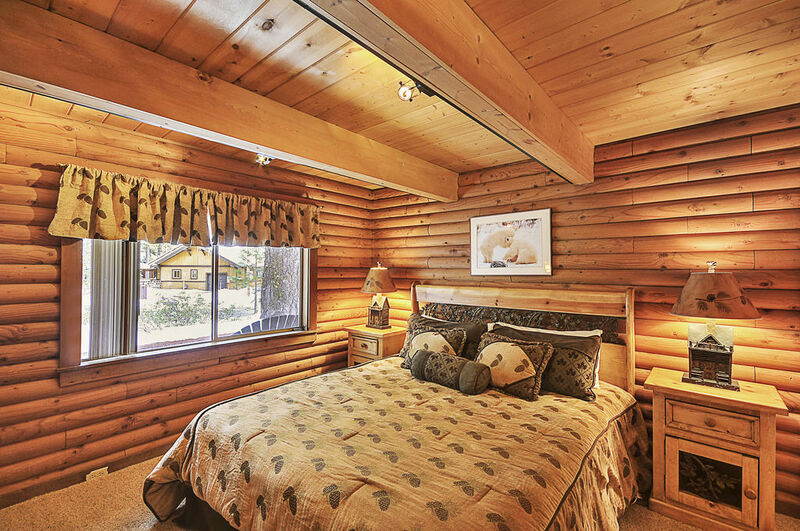 I would have enjoyed it more if the master bed mattress had a topper on it and better pillows. The mattress was way too firm for me. I would love to stay here again but that is the one thing that would prevent me from booking here again. In a nutshell: I would definitely recommend to families with a dog.